A set of vinegar bottles for Eli’s Essentials grocery. 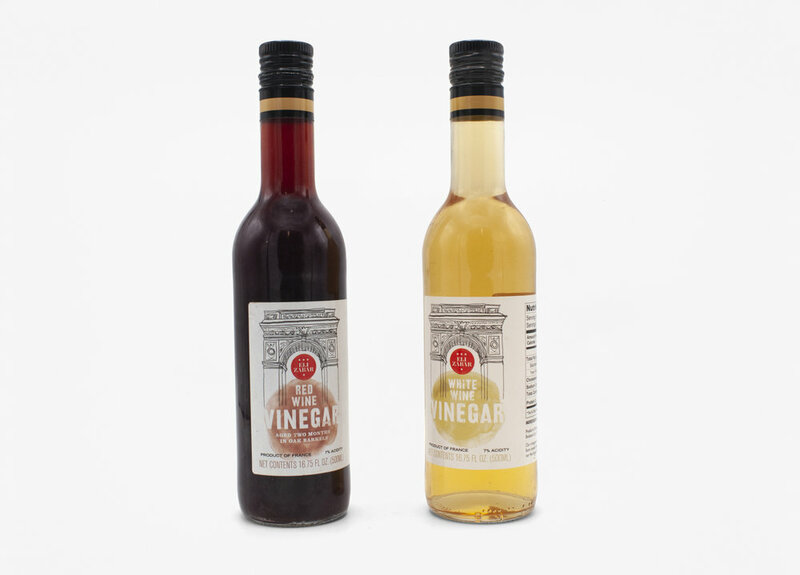 The vinegar is made in France, but for an NYC company. My solution was to sketch the Arc de Triomphe, an icon shared by both. A set of olive oil, and vinegar for Eli’s Essentials. The bars of color were inspired by the tracks of flowers grown in the same region of Provence, France where the set was made and bottled.